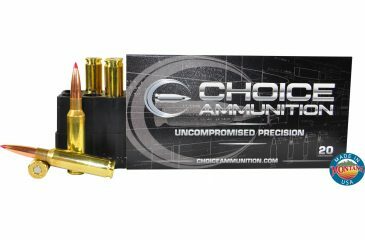 Choice Ammunition has developed an amazing round for AR platform Predator Hunters with an unheard of velocity for a 16″ barrel! This round traveling at over 3200 fps is designed for terrific flight, accuracy and fragmentation after impact for no exit or hide damage. Our Hide Saver is rapidly making its way throughout the predator nation as a “Go-to” round for AR enthusiasts! Our 100% Hand-Loaded Hide Saver rounds are loaded with extremely tight tolerances, producing highly accurate, consistent and reliable performance with each and every shot! Our proprietary load formulas and loading process create the finest round of ammunition available on the commercial market today we feel. If you don’t load your own ammunition- let us do it for you! 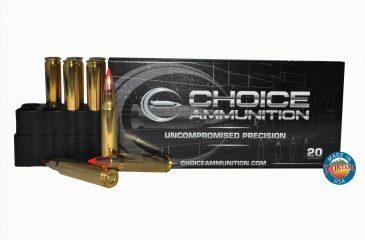 .223 REMINGTON 40 grain Hornady V-Max Bullets feature a polymer tip which enhances accuracy and promotes devastating expansion. The tip raises the ballistic coefficient for faster velocity and helps to stabilize the bullet in flight. It also acts as a wedge, initiating bullet expansion. The ideal combination of accuracy, expansion, and fragmentation. With its combination of proven materials, innovative design and streamlined profile, the Hornady V-MAX represent the pinnacle of what a specialized varmint bullet can achieve, offering straight-line trajectories, enhanced accuracy, dramatic expansion and explosive fragmentation at a wide range of distances and velocities. The industry’s leading varmint bullet with polymer tip and streamlined design results in flat trajectories. The concentricity of the match grade AMP® bullet jacket provides maximum accuracy at all ranges as well as explosive expansion, even at velocities as low as 1600 fps. The secret to the explosive terminal performance of the V-Max® is a hollow cavity resting between the tip’s shaft and the body of the bullet. Upon impact, the hard shaft builds up speed and energy before driving into the core, causing the entire package to rapidly expand to the point of violent fragmentation, even at low terminal velocities. The swaging process allows the precise formation of the core up and around the tip, with a cavity under the tip’s stem. This allows the tip to build up energy before smashing into the core, causing dramatic fragmentation of the core and jacket. Our 100% Hand-Loaded 115 grain Berger VLD-Hunting rounds are loaded with extremely tight tolerances, producing highly accurate, consistent and reliable performance with each and every shot! Our proprietary load formulas and loading process create the finest round of ammunition available on the commercial market today we feel. If you don’t load your own ammunition- let us do it for you! Nosler Ballistic Tip Bullets are designed for violent expansion upon impact. The bullet is tipped with a polycarbonate tip which rapidly drives back forcing the thin jacket to expand and fragment. The heavy base prevents deformation during firing and the boat-tail design increases the ballistic efficiency of the bullet. .223 Remington 40 Grain Nosler Varmageddon Tipped~ High Velocity 22 Varmageddon 40 Grain Tipped Bullet Varmageddon bullets are made with a lead-alloy core and feature a copper-alloy jacket designed to withstand high velocities yet expand immediately upon impact. Varmageddon bullets are manufactured using a highly efficient process, providing legendary Nosler quality and accuracy at an economical price. Our 100% Hand-Loaded .223 40 grain Nosler Varmageddon Tipped rounds are loaded with extremely tight tolerances, producing highly accurate, consistent and reliable performance with each and every shot! Prairie dogs and Predators beware! .223 REMINGTON 50 grain Hornady V-Max Bullets feature a polymer tip which enhances accuracy and promotes devastating expansion. The tip raises the ballistic coefficient for faster velocity and helps to stabilize the bullet in flight. It also acts as a wedge, initiating bullet expansion. Our 100% Hand-Loaded 50 Grain V-Max rounds are loaded with extremely tight tolerances, producing highly accurate, consistent and reliable performance with each and every shot! Our proprietary load formulas and loading process create the finest round of ammunition available on the commercial market today we feel. If you don’t load your own ammunition- let us do it for you! The V-Max-The ideal combination of accuracy, expansion, and fragmentation. Our 100% Hand-Loaded 50 grain TNT rounds are loaded with extremely tight tolerances, producing highly accurate, consistent and reliable performance with each and every shot! Our proprietary load formulas and loading process create the finest round of ammunition available on the commercial market today we feel. If you don’t load your own ammunition- let us do it for you! Speer created its first bullet more than 70 years ago, and today, the company still manufactures superior components, such as Speer TNT Varmint Bullets. Specific to varmint shooting, these bullets are a cut above the rest. 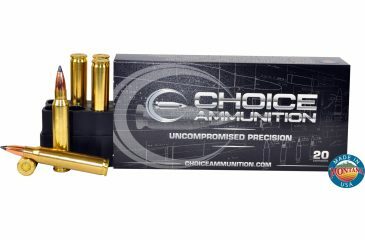 In addition to being made from quality materials and workmanship, these bullets fit any budget. TNT gives you what you want most-superior on-game performance. Starting with TNT’s thin precision jacket, Speer added internal fluting and a dead-soft lead core to ensure complete bullet disruption. Speer finishes the forming with a long ogive and a small hollow point. This gives you the ballistic coefficients needed for long shots. In fact, TNT’s coefficients rival those of similar boat tail bullets. In a little over ten years, TNT has become a best seller. Why? Great accuracy and impressive terminal performance. These TNT Bullets are explosive and accurate. TNT gives you what you want most—superior on-game performance. A thin precision jacket and internal fluting ensures complete bullet disruption. 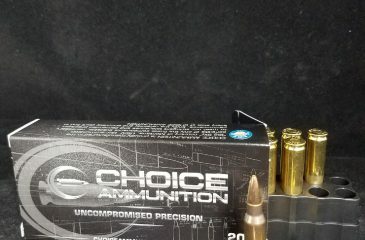 Because of its great accuracy and impressive terminal performance, TNT has become one of Speer Bullets’ hottest sellers. Our 100% Hand-Loaded 55 grain FMJ rounds are loaded with extremely tight tolerances, producing highly accurate, consistent and reliable performance with each and every shot! Our proprietary load formulas and loading process create the finest round of ammunition available on the commercial market today we feel. If you don’t load your own ammunition- let us do it for you! 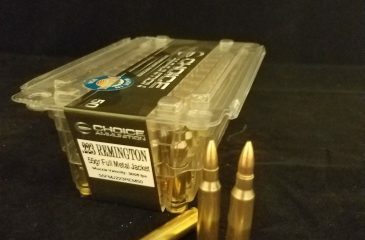 .223 Range ammo does not get any better! 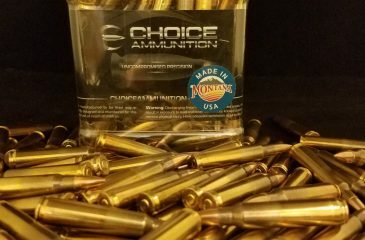 Here is an inexpensive way to send bullets down range and still rely on the quality and performance of our 100% hand loaded ammunition. Our FMJ rounds are highly accurate and reliable. Hit that can, target or whatever you are aiming at with confidence! Super fun round to shoot with performance similar to our hunting and varmint rounds. 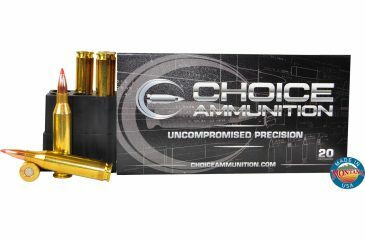 This will be the best range ammo you have ever shot in this caliber and still competitive priced with others! .223 REMINGTON 55 grain Hornady V-Max Bullets feature a polymer tip which enhances accuracy and promotes devastating expansion. The tip raises the ballistic coefficient for faster velocity and helps to stabilize the bullet in flight. It also acts as a wedge, initiating bullet expansion. 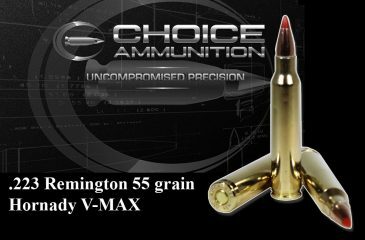 Our 100% Hand-Loaded 55 Grain V-Max rounds are loaded with extremely tight tolerances, producing highly accurate, consistent and reliable performance with each and every shot! Our proprietary load formulas and loading process create the finest round of ammunition available on the commercial market today we feel. If you don’t load your own ammunition- let us do it for you!